As Senior Veteran Transition Manager, Policy & Partners Lead, Patrice provides veterans and their families with referrals for social service resources to address a wide variety of needs, including: health, mental health, education, employment, legal, financial, homelessness and community support. She provides client-centered case management services and advocacy while empowering veterans and their families to reach their goals. 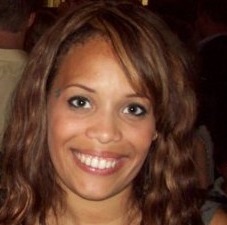 Additionally, Patrice is SIFI certified, and is responsible for the supervision of RRRP’s MSW interns. Prior to IAVA, Patrice provided mental health counseling and facilitated psychoeducation groups to empower homeless veterans in Southern California to achieve residential stability and greater self determination. Before beginning her career in social work, Patrice spent 5 years at the Council on Foreign Relations working in HR. Patrice is the proud daughter of a Korean War Veteran and an avid volunteer and Peer Mentor with Tragedy Assistance Program for Survivors (TAPS). Patrice earned her BS in Business Management from Plattsburgh State University and her MSW at the University of Southern California, focusing on Mental Health and Military Social Work. Patrice is currently an Adjunct Professor and Field Liaison at the Touro College Graduate School of Social Work, where she is teaching Integrative Seminar to first year MSW students.